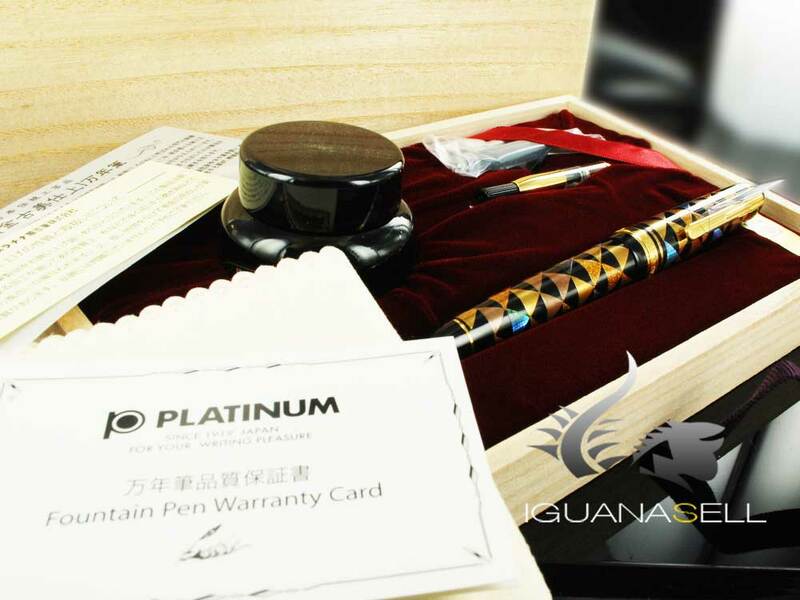 Iguana Sell Pens | Are you looking for the Platinum Urushi Maki-e Fountain Pen, Urokomon? 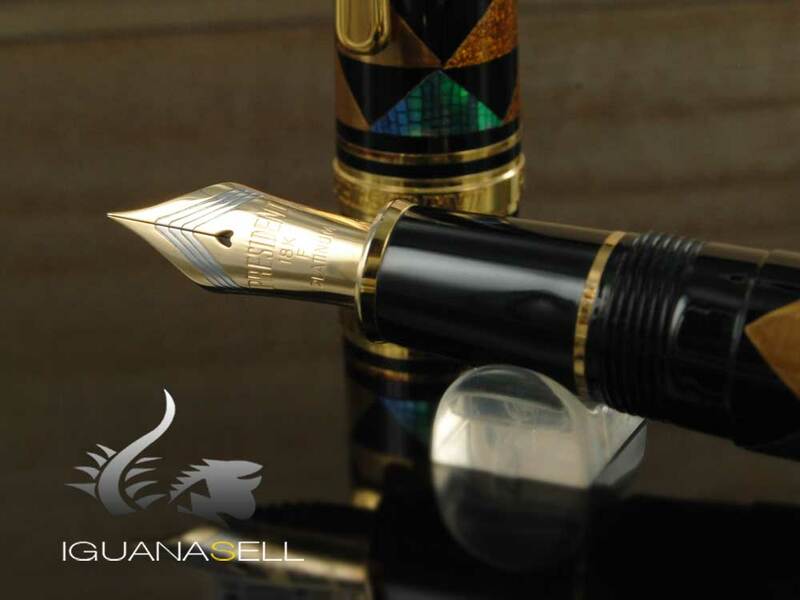 Are you looking for the Platinum Urushi Maki-e Fountain Pen, Urokomon? 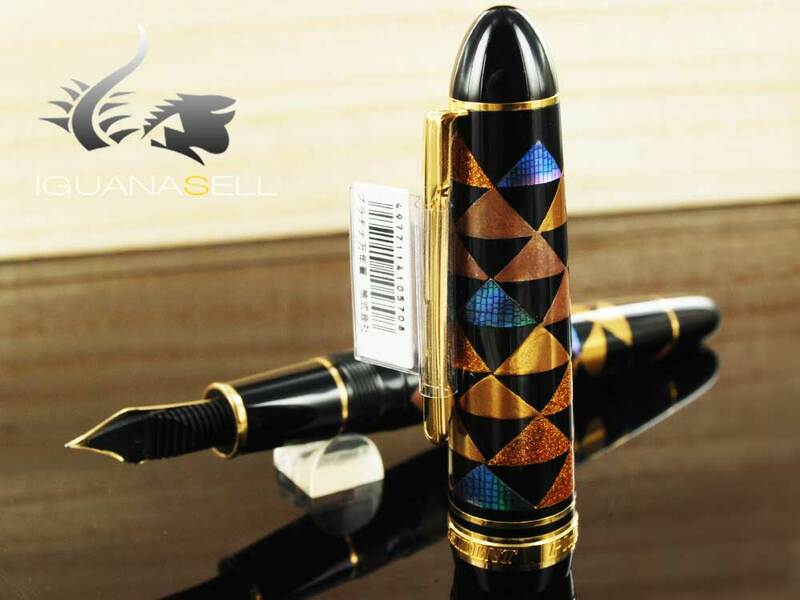 Look around this beautiful pearl coming from Japan. 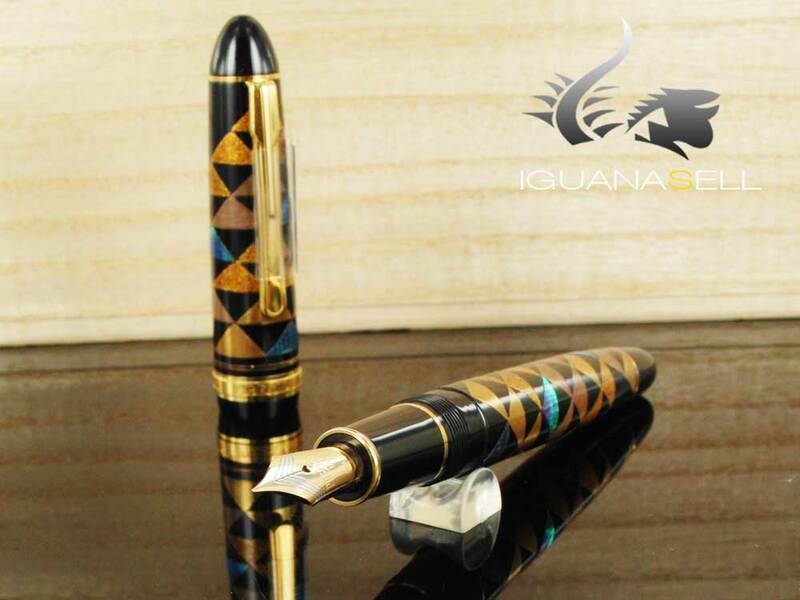 This Fountain Pen is made in black Urushi lacquer and uses several kinds and sizes of materials such as white and blue seashells, gold and silver powders to express the scale pattern. 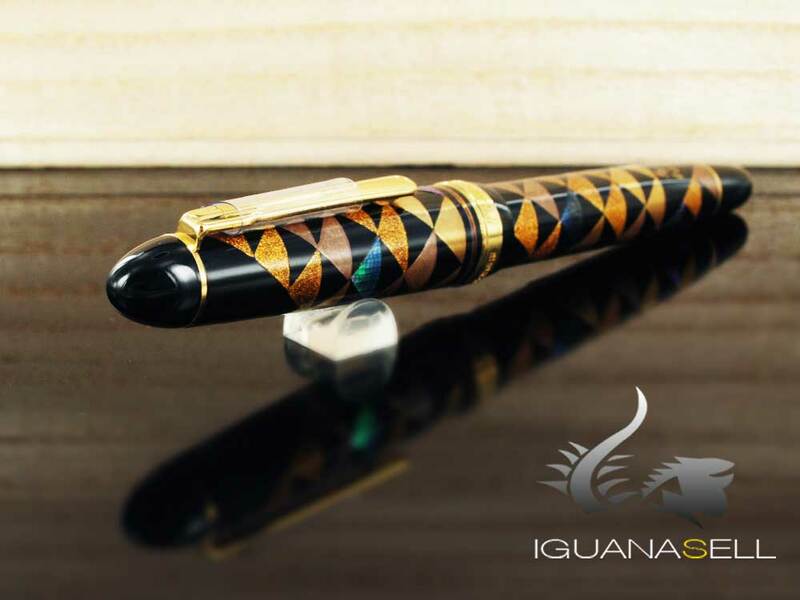 The Fountain Pen was made in Kaga, Japon a renowned place for Maki-e, which is a Japanese lacquer art that utilizes Urushi lacquer to decorate. 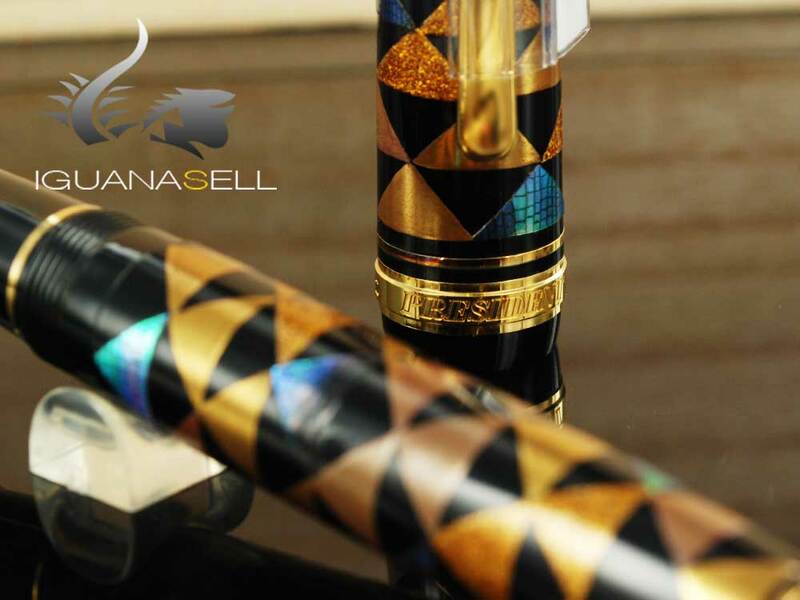 The quality of maki-e largely depends on the work process of shitaji (undercoating) and uwanuri (top coating) that affect the total outcome, and finally the togidashi (polishing of the surface to make it flat) after the top coating determines the quality of the final work. 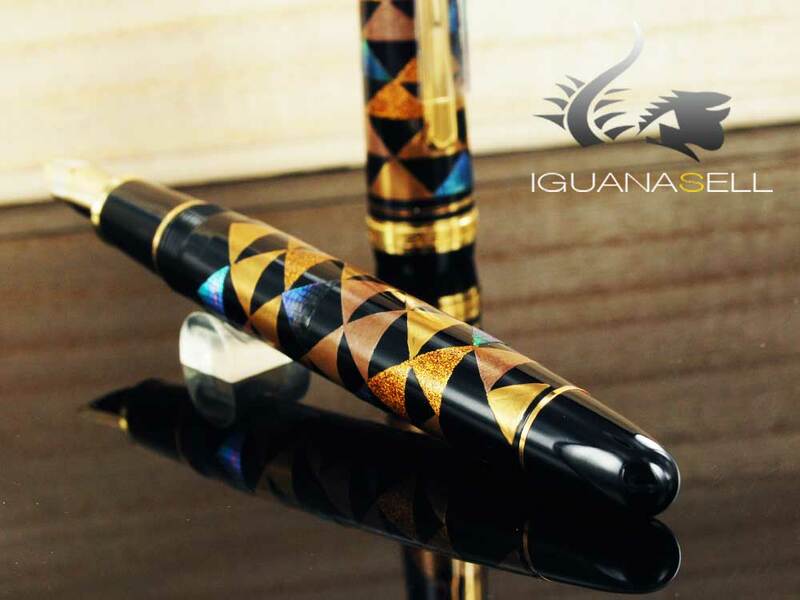 While Urushi is the brown sap obtained from the Japanese lacquer tree. The mixture of this sap and the diatomaceous earth provides adhesion to the tableware and furniture by improving the durability of the products. The special method called nunokise, which urushi coating is applied for reinforcement after covering the tableware and other daily products with cloth, is regarded as proof of durability and remains in use today in such areas as Wajima (the current Ishikawa Prefecture) and Negoro (the current Wakayama Prefecture). You can see the craftman “Ko-en’s” signature is placed on the barrel as well. Thank you very much for following!